"After being diagnosed with prostate cancer, I restored my prostate to health in less than 90 days, without drugs or surgery -- and so can you. 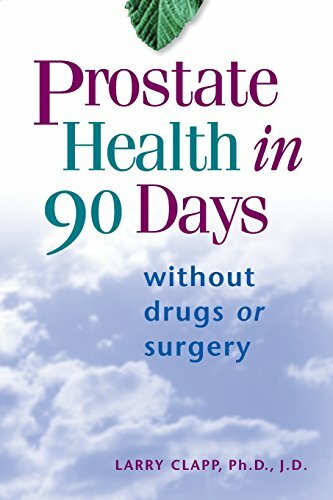 "Most medical doctors won't tell you that conventional treatments alone are not sufficient to solve prostate problems. In fact, of men who have had prostate surgery, 35% require retreatment within 5 years and 75% require additional treatment in 10 years! Each year 40,000 American men have their prostates surgically removed or burned with radiation, often within 48 hours of cancer diagnosis. While doing so may eliminate an immediate problem, it will also result in reduced quality of life, often including impotence and incontinence. And, unfortunately, surgery and radiation don't work as well as claimed.